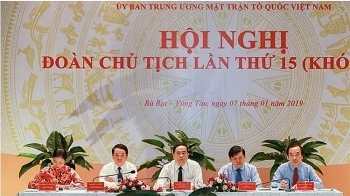 Permanent member of the Secretariat Tran Quoc Vuong has asked the Central Commission for External Relations (CCER) to deepen the Party’s external relations in a more substantive and effective manner. 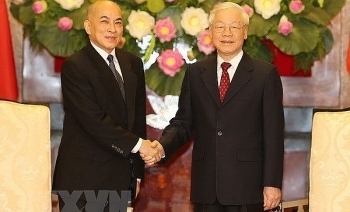 The Presidium of the Vietnamese Fatherland Front (VFF) convened a meeting in the central city of Vung Tau on January 7 to discuss preparations for the upcoming congress of the front. 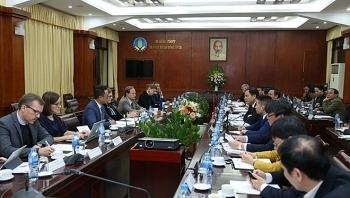 Minister of Agriculture and Rural Development, Nguyen Xuan Cuong, had a bilateral meeting with Vice President of the European Parliament (EP), Heidi Hautala, in Hanoi on January 7, who is leading an EP working delegation to Vietnam from January 7-9. 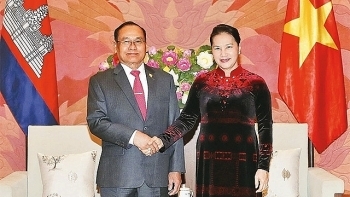 National Assembly Chairwoman Nguyen Thi Kim Ngan received Tep Ngorn, Standing Member of the Cambodian People’s Party (CPP) Central Committee, Senate Vice President, in Hanoi on January 4. 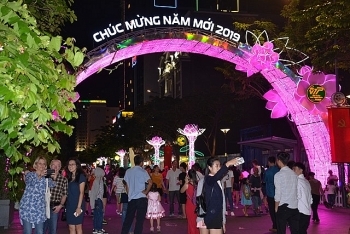 As the clock struck midnight people throughout the country immersed themselves in the festive mood, enjoying firework shows and entertainment activities to see out 2018 and usher in 2019. 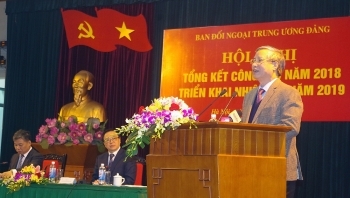 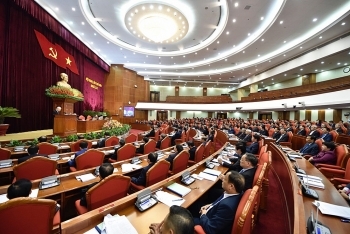 The 12th Communist Party of Vietnam (CPV) Central Committee convened its ninth session on December 25, under the chair of Party General Secretary and President Nguyen Phu Trong. 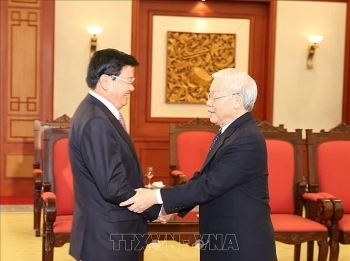 Vietnam always attach importance to strengthening and enhancing the traditional friendship and sound cooperation with Cambodia for benefits of both nations, as well as regional and global peace, stability, cooperation and development, General Secretary of the Communist Party of Vietnam and President Nguyen Phu Trong has said. 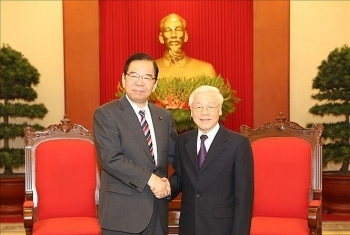 The Party, State and people of Vietnam always treasure the cooperation and traditional friendship with the Communist Party of Japan (CPJ), Party General Secretary and President Nguyen Phu Trong has said.